The first two options should always be checked by default - you really only want to disable those options if the Indigo Support team recommends it. 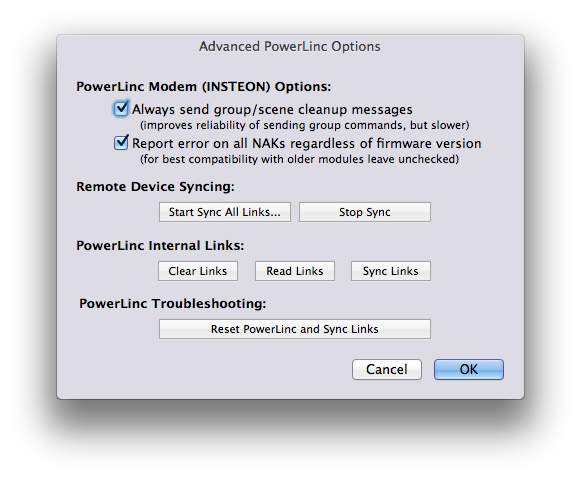 You can completely reset your PowerLinc and resync the links all in one go - this is roughly synonymous to doing a factory reset, but not quite. Indigo support will often recommend doing a factory reset vs using this option because the factory reset performs some actions that we can't do through software.